We arrived to Whitehorse on the 29th and were able to base out of the NOLS Yukon Branch. Once again we reorganize our gear, separating the canoeing gear from the backpacking gear. There was a cabin available for us to stay so we took advantage of a bed. The next morning when we heard the alarm go off we would have liked to turn it off and go back to bed, however we needed to head to Carcross where we had made arrangements to store our canoe while we were hiking. It was a beautiful drive and we got to see some interesting sites. 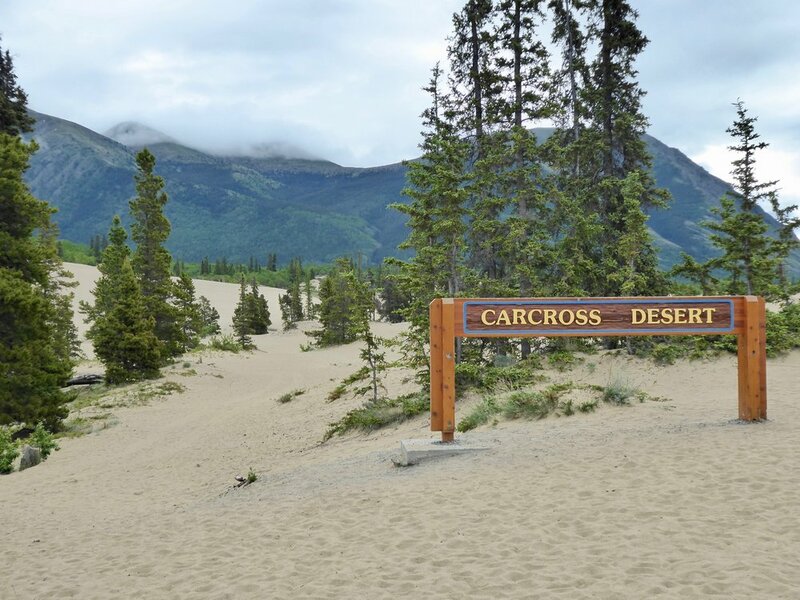 The first one being the Carcross Desert. A unique environment for Canada! Next stop was meeting Dustin in Carcross who was going to store our canoe for us while we hiked the Chilkoot trail. Upon meeting Dustin, his first response was I know you! We realized that many years before we had stored some sea kayaks for him in Alaska. He was excited that he could return the favor. Always love how connections happen! After leaving Carcross, we stopped at a roadside rest with a historical exhibit. We are excited about learning more of the historical significance of this area. This was a very popular train stop in the early 1900's. Even though it is full on summer, the temperatures are cold. In fact we have been told that summer may not arrive this year. I may need to take an extra layer for hiking. One good thing is that the bugs are not enjoying the cold weather and are quite minimal. We stop at an overlook and check out Miles Canyon which we will be paddling thru on the way to Whitehorse. It had originally been a treacherous stretch of water causing many gold rush seekers to lose their lives. A dam was put in and the rapids were eliminated. Next stop was to check out the dam that we would have to portage around to continue on the Yukon. It would be easy to take out right above the dam, but getting to where we could put in would be a haul. It would take us most of a day. Our canoe weighs about 86 pounds and we would have all of our backpacking gear as well as the canoeing gear. In some of our research we had heard about Kanoe People, a business in Whitehorse that could transport us around the dam. This option, once we looked at the portage, seemed quite appealing. We checked it out and made arrangements. Now it was back to the NOLS branch and take a well deserved nap which ended up continuing on into the night. Guess we were tired! July 1st Canada Day! 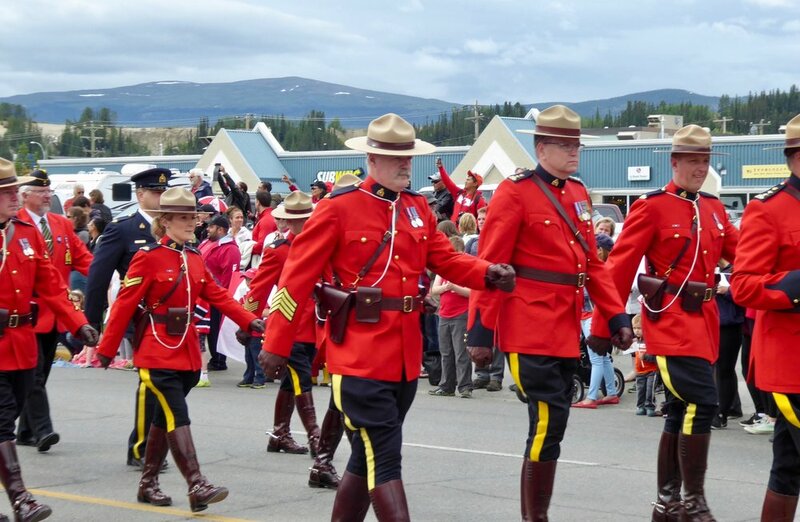 There was a big day of Celebration in Whitehorse this year and spending the day there seemed appropriate. We were treated to a parade and various exhibitions by The First Nations People. We enjoyed the First Nation presentations of drumming and singing. During the drumming, a lot of the audience got up and formed a circle around the auditorium. There was a lot of positive energy in the room. It was a remembering of the past and the hope of the future. 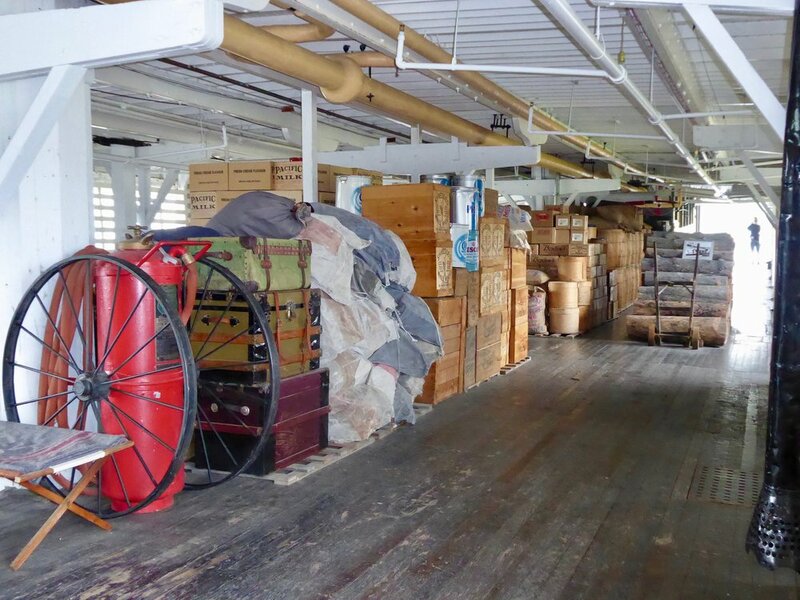 The Yukon is known for its steamships and a replica of the Klondike is available to tour. We did a walking tour of the inside and were quite impressed with the exhibit. A lot of wood was required to move steamships up the Yukon. Boxes of reinder milk were ready to be delivered. In real life I doubt it the ships contents were so neat and clean. We were impressed with the size of the paddlewheel. 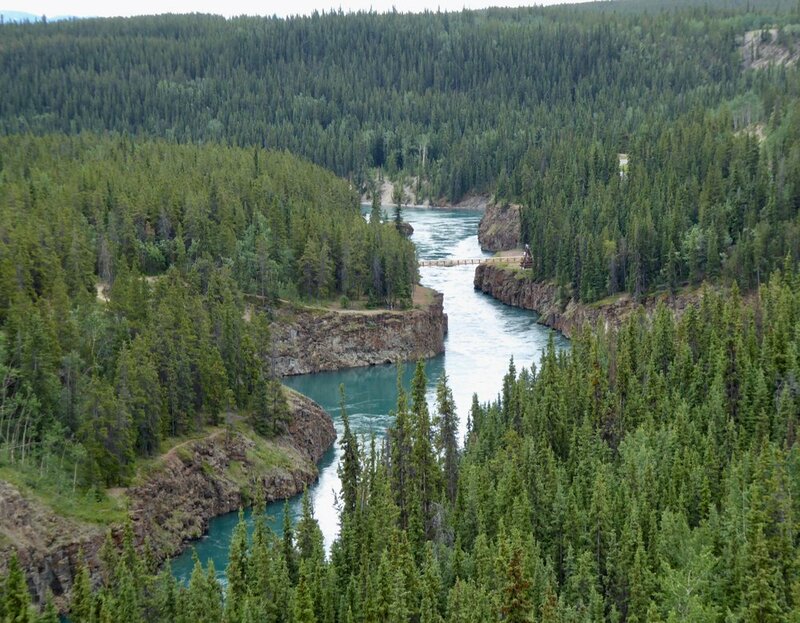 The Yukon was a challenging river for the steamships. Many wrecks occurred during the summer season. It was a relaxed day in Whitehorse and we had enjoyed the festivities, but tomorrow begins the reason for why we are here. We are filled with anticipation and as always the mixed feelings of the unknowns.